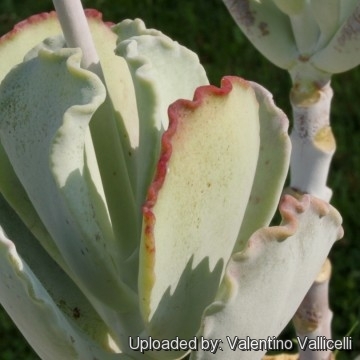 Description: Cotyledon undulata is a small, neat and tidy succulent shrub up to 50 cm tall which has unusual grey undulating leaves that give it a very sculptural shape. 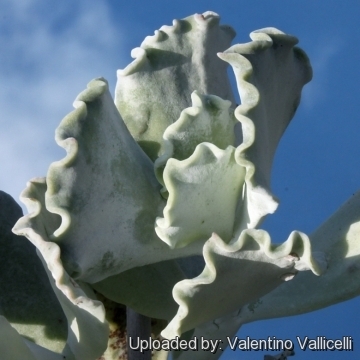 Cotyledon undulata is perhaps the most widely grown Cotyledon. Leaves: Shaped just like scallop shells, grey-white to blue-grey, with wavy edges and a powdery waxy coating over the whole leaf. 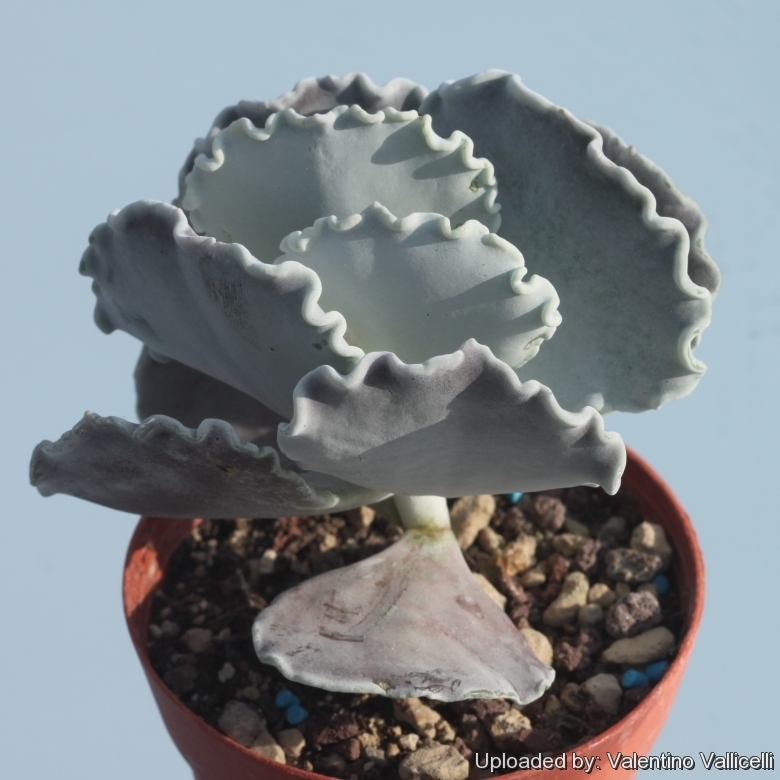 Cotyledon orbiculata L.: has leaves very variable in shape, up to 13 by 7 cm, usually ± flattened obovate spatulate, grey-green to blue-grey with a powdery waxy coating. Distribution: South Africa (Karoo region). 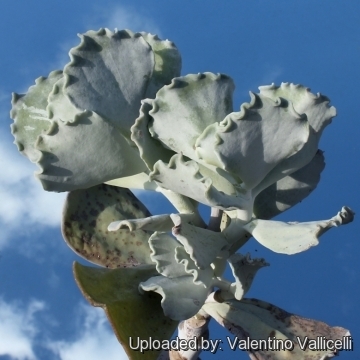 Cotyledon orbiculata var. oophylla Dinter: has shorter leaves which are somewhat egg-shaped, hence the name oophylla, and bright red pendulous flowers. 11) Vandecasteele, Petra; Godard, Paul (2008). “In Celebration of Fynbos.” Struik. ISBN 1-77007-490-2. 12) Wickens, G. E. (1998). “Ecophysiology of economic plants in arid and semi-arid lands. Springer.” ISBN 3-540-52171-2. 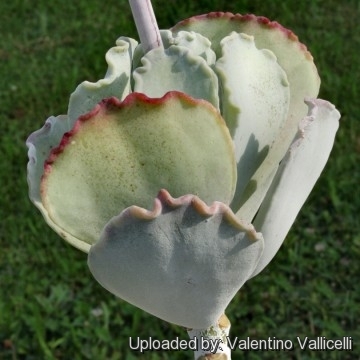 Cultivation and Propagation: Cotyledon undulata is widely grown and not difficult to cultivate. Cotyledons are very responsive to differing cultural conditions both as regards colour, length and shape of leaves, rate of growth and size of plant. Soil: It grows best in sandy-gritty soil. Good drainage is very important as it is prone to root rot. 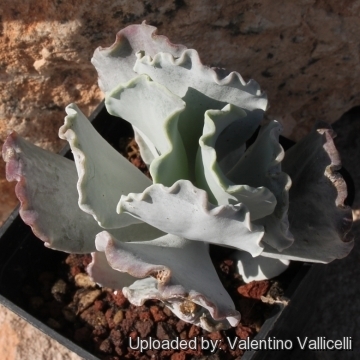 Watering Needs: It is a very dry-tolerant plant. Water regularly in the growing season, but avoid water-logging and let dry between watering, they should dry out completely during the rest period. The leaves have a white waxy coating over the whole leaf. 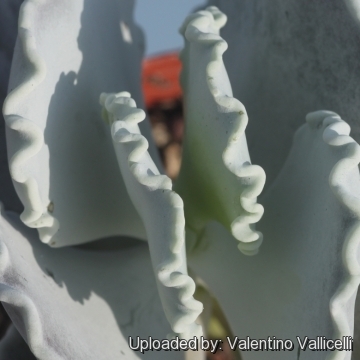 To preserve this covering, plants should be watered from below. If grown in a container, bottom watering by immersing the container is recommended. It must have very dry atmosphere. Sun Exposure: It grows in sun or part shade but flowers best in full sun. In summer keep cool and provide some shelter from direct sun during the hottest hours. In shade the body colour will remain more green, while in harsh full sun conditions the foliage can develop its characteristic blue-grey tinge. It can be sunburned if moved from shade/greenhouse into full sun too quickly. The amount of sunlight it can withstand without scorching depends upon the how hot it becomes in the summer in the locale in which it is planted. Frost Tolerance: Light frost protection required. It requires a minimum temperature of about 5°C, but will take a light frost and is hardy down to -5° C for short periods if it is in dry soil (Lethal temperature in habitat -6 to -10 ° Celsius). USDA zones 9A – 11. In areas prone to frost, grow in an intermediate greenhouse or conservatory, in pots. 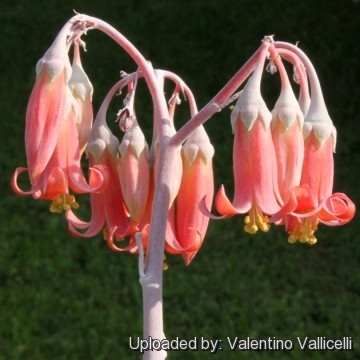 Uses: They make wonderful rocker plants in hot, dry areas and also grow well in containers or sunny patios or in a hot corner next to a swimming pool. Traditional medicine: The Common name,'Plakkie', is Afrikaans, meaning to 'place on' from its popular and effective use as a poultice (a heated leaf) on boils, corns, warts and abscesses. Warning: The plants are toxic because to humans and domestic animals, especially sheep and goats. Poisoning may be acute or chronic, the latter due to the cumulative effect of the toxins. Pests and diseases: May be susceptible to mealybugs and rarely scale. Protect from cold. Propagation: From seed but it is easily increased by cuttings. Cuttings root easily. 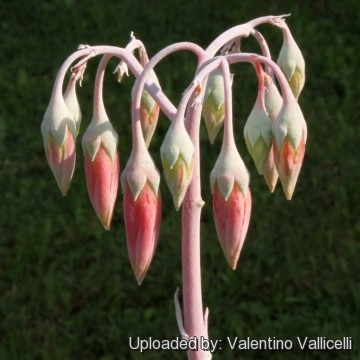 It is also possible, to plant the leaves in good, sandy soil where they will take root - members of this family often propagate vegetatively in this way.